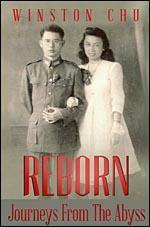 Winston Chu, retired plastic surgeon and Erie resident, has just published his story. The book, Reborn: Journeys from the Abyss, is a memoir recounting Chu's hardships and success, revealing how he survived not one, but two trips into "the abyss." His first trip begins at, well, the beginning. Born in Rangoon, Burma, Chu was forced to flee the country after an official policy of racial and ethnic segregation was put in place. Fearing the dictatorial socialist regime, Chu managed to escape and was able to live out his dream of becoming a plastic surgeon. Using connections his father had made with an American surgeon-colonel, Chu attended the University of Pennsylvania, eventually settling in Erie. His escape from Burma was not the end of Chu's trials. After his retirement, the plastic surgeon became incredibly ill. Citing grit, prayer, and excellent medical care, Reborn chronicles the author's diagnosis, treatment, and recovery in stunning detail. "The spirit of America thrives in the soul of the naturalized citizen and you'll find it every step of the way," remarks Erie's own Tom Ridge on Reborn: Journeys from the Abyss. The harrowing journey explored throughout the book lays bare the struggles and accomplishments present for American immigrants. For more info, check out the book's website. If you'd like to buy the book, go to Tate Publishing or Amazon.